BRAND NEW!!! FUN FASHION JEWELRY!!! 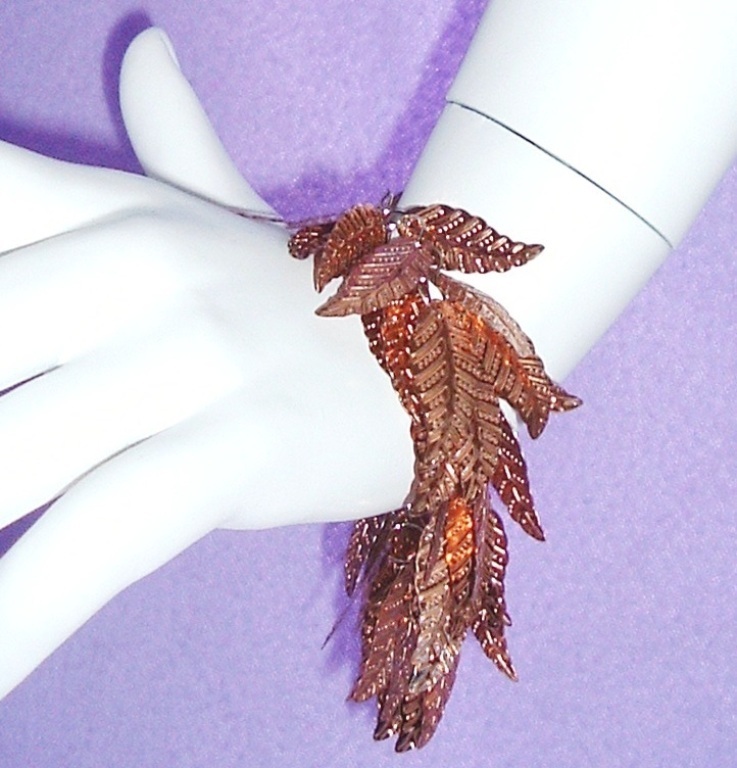 Bracelet is made of Bronze colored leaf shaped sequins. It is silver tone metal and measures about 7 inches in length with a two inch chain link extender for lots of adjustability! It has a small lobster claw clasp. FUN item to accessorize your fall wardrobe! THANKS FOR HANGIN OUT! RETURN POLICY: Apologies, returns NOT ACCEPTED. Thank you. DOMESTIC SHIPPING: 3.25 First Class Mail (4 to 7 business days) COMBINED SHIPPING: Combined shipping discounts are deducted automatically. You may also take advantage of the BEST OFFER listings and make an offer. Thank you. Sales tax to CA residents applicable.